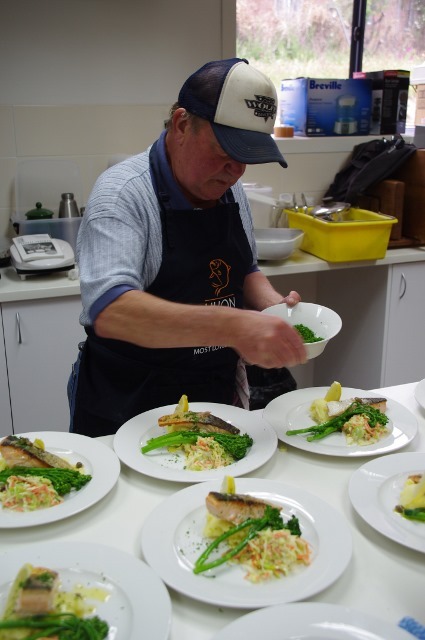 “Some thirteen Channel residents took part in the Channel Men’s Shed and “Huon” Nutritious cooking class and luncheon at the shed. 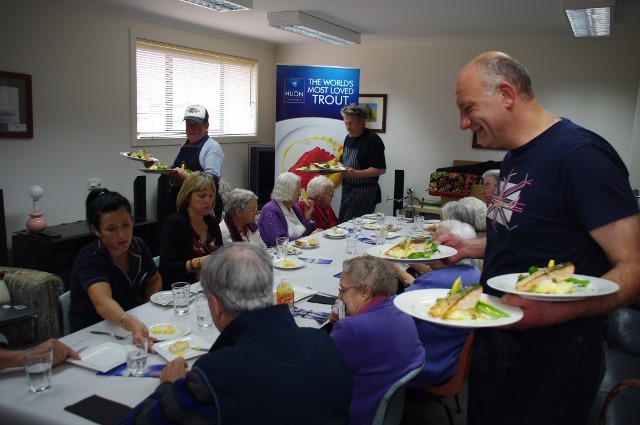 The first of several of these community educational lunches was fully booked and rated as a great success by those attending. Both hot and cold smoked salmon was served in various ways as entrée with salmon and pasta and salmon wellingtons and fresh salads being served as the main course. 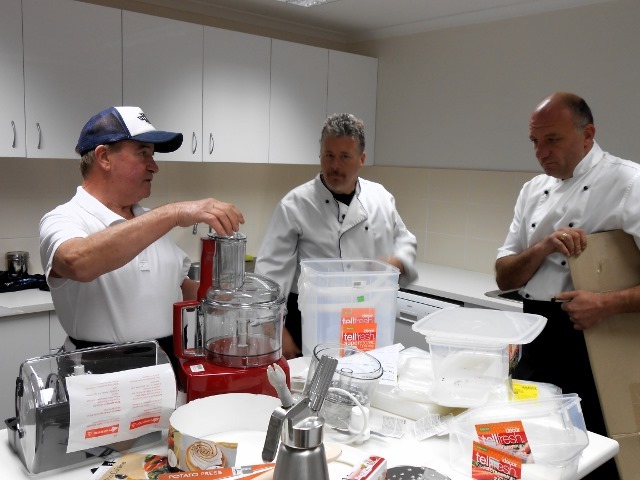 Attendees were given an overview of the dishes as they were prepared by the two chef members of the “Shed”. The next community event will be held in early August. Those on the waiting list will be contacted with the date when finalised.